With a new investor joining in and a higher purchase price, the Garces Restaurant Group late Tuesday announced the sale of almost all of its restaurants for $8 million plus assumed liabilities. The Philadelphia-based multiconcept group has been acquired by an entity called 3BM1, which is a partnership between Ballard Brands LLC — which had previously announced plans to buy some of Garces restaurants out of bankruptcy for $5 million — and Philadelphia investor David Maser, an attorney with the law firm Cohen Milstein Sellers & Toll. The transaction, which closed on Tuesday, was approved by a U.S. Bankruptcy Court judge in Camden, N.J., Garces Group said — though the reorganization process will continue. The operating name of the entity going forward has yet to be determined, a company spokesperson said. Under the deal, 3BM1 will take ownership of most of famed chef Jose Garces’ portfolio, including the restaurants Amada, Tinto, Village Whiskey, The Olde Bar, JG Domestic, Volvér and event company Garces Events. The new owners will also take over management contracts for Olón and Okatshe in the Tropicana Hotel in Atlantic City; as well as locations of Amada and Distrito, which have reopened in Ocean Resort Casino in Atlantic City after a brief closure while the property changed hands. 3BM1 will also operate foodservice for the CHUBB Conference Center in Lafayette Hill, Pa., and Ortizi in New York City. 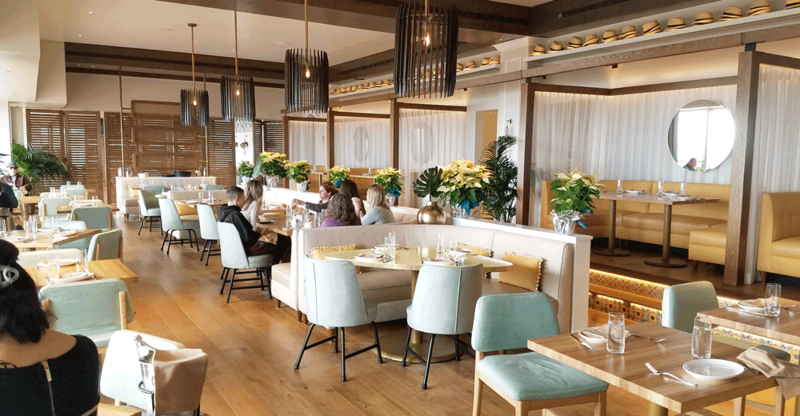 Two Garces Group restaurants will close, however: The restaurant 24 will shutter after service on July 14 as the company relocates its corporate headquarters and test kitchen. And Garces Trading Company in Philadelphia, which was not part of the sale, will close after brunch service on July 15 after nearly a decade. Employees at the restaurants to be shuttered will be offered other positions within the group’s portfolio, officials said, and the intent is to maintain employment for most, if not all, of the group’s 750 employees overall. Separately, Garces, the Ecuadoran-American chef who opened his first restaurant in 2005, will retain ownership of the restaurants Distrito and Buena Onda, both in Philadelphia. As part of the deal, Garces will also remain as the group’s chief culinary officer. “This is a new beginning for our company,” Garces said in a statement. “This Ballard team has been with us every step of this process, as true partners, and we can now focus on the future together. Ronnie Artigues, general counsel of Ballard Brands, has been named CEO of the new entity. Based in Covington, La., Ballard Brands was formed in 2001 by brothers Paul, Scott and Steve Ballard, and the company operates 153 restaurants in 28 states under the Smoothie King, Wow Café, PJ’s Coffee of New Orleans, The Original City Diner, Boardhouse Serious Sandwiches, Richard Fiske and Ole Saint brand names. The Ballard team sees the managed services and catering divisions as strong areas of growth for the Garces Group restaurants, the company said. “Chef Garces has developed a brand that transports people to different cultures through his creative cuisine and by creating environments people love. Amada is the perfect example of that, and we look forward to all the potential of building a revived, powerful brand,” said Paul Ballard, co-founder of Ballard Brands, in a statement. Maser, meanwhile, said his involvement is an investment in the Philadelphia economy.